Walmart made $486 billion in revenue in 2015. If it were a country, this would give it the 25th largest GDP in the world, right between Sweden and Nigeria. The company sits atop the Fortune 500 list, a ranking of the largest U.S. companies by revenue, outpacing its nearest competitor, Exxon Mobil, by more than $210 billion. Currently, more people work at Walmart than serve in the U.S. military. Even so, when ranking the most valuable companies in America by market capitalization, Walmart doesn’t crack the top 10. To examine some of the country’s wealthiest firms and explore the geographic spread of American business, Graphiq’s corporate research site FindTheCompany used market capitalization data to determine the most valuable company in each state. Market capitalization, or market cap, is a simple statistic that measures a company’s market value. It’s calculated by multiplying a firm’s stock price by its total number of outstanding shares. Though this number can fluctuate daily as the market ebbs and flows, over the long run, market cap serves as a solid indicator of how much the public values a company. Based on this statistic, Walmart stands as the 13th most valuable American-based company, with a market cap of $230 billion. 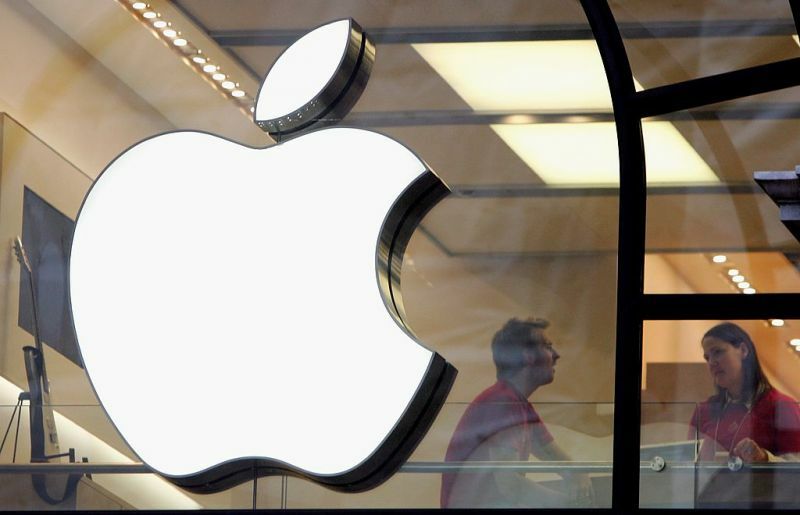 Apple tops the list with a whopping $547 billion. Below are the top 15 American companies ranked by market cap. It’s worth noting that while it’s possible for a single company to trade on multiple stocks, each stock’s market cap independently reflects the firm’s market value. To find the market cap of Berkshire Hathaway , the firm owned by billionaire investor Warren Buffett, you wouldn't add the market caps of its two stocks together. Both Berkshire Hathaway and Alphabet Inc. , the parent company of Google, have reasons they trade on multiple stocks. Because Berkshire’s BRK-A stock costs almost $220,000 per share, its BRK-B stock, priced at about $147 per share, gives investors more flexibility to buy and sell. In Alphabet’s case, GOOGL shareholders have voting rights, but GOOG shareholders do not. The split was intended to preserve the control of company founders Larry Page and Sergey Brin. Though many of the country’s wealthiest corporations are based in business centers on the coasts, other top firms call lesser-known economic hubs their home. For instance, Walmart in Arkansas, Berkshire Hathaway in Nebraska, and Proctor & Gamble in Ohio each rank among America’s 15 most valuable companies. To explore the geographic reaches of American business, FindTheCompany examined the most valuable company in each state by market cap — the market values range from Cloud Peak Energy Inc. in Wyoming, which is worth about $165 million, to Apple in California with its $547 billion. While billion dollar businesses are spread throughout the country, many of America’s most valuable companies are concentrated in a handful of states. Because the visualization above shows only one business per state, many of the top 15 most valuable companies were excluded because they share a state with a firm higher up the list. For example, J.P. Morgan Chase narrowly beat out Verizon Communications in New York. Exxon Mobil outranked AT&T in Texas, and in Washington, Microsoft topped Amazon.com. The state that claims the largest number of top 15 companies is California, with four: Apple, Alphabet Inc., Facebook and Wells Fargo. In addition to highlighting the geographic spread of corporate America, FindTheCompany’s analysis speaks to the diversity of the U.S. economy. The 50 companies on the list fall into 14 different industries. There are nine companies in the finance sector, seven in utilities, six in medical and five in computer and technology— no one industry dominates the list.